I'm down to the wire again! Father's Day is THIS weekend and I'm just now getting this together. I've actually had it ready to go for awhile and totally forgot to post it this weekend! 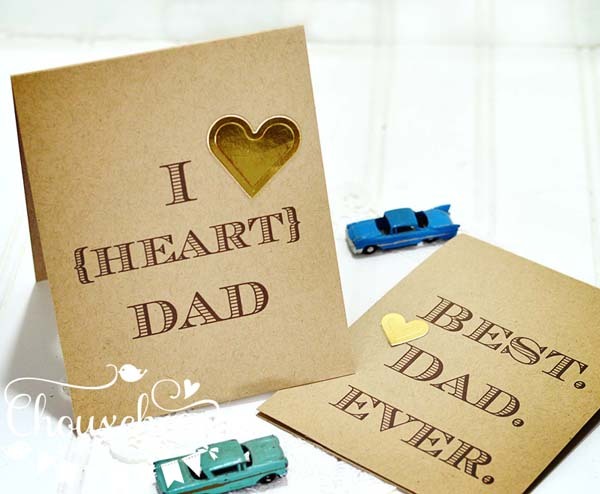 If you've already got your Father's Day cards ready, maybe you can do these next year. See? I've got you covered a year in advance - ha! These are super easy - just print, cut, fold. You can print the cards on any cardstock you wish. I really like the look of the brown on kraft. Cut right down the middle at 41/4". Score and fold at 5 1/2". 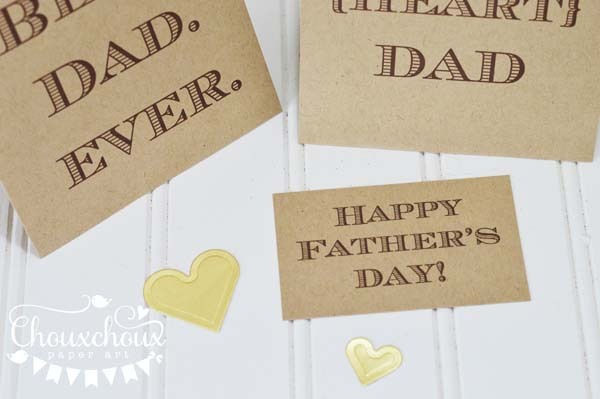 Cut out a Father's Day Sentiment and glue inside. You can stop there or cut a couple of hearts to go on the fronts. 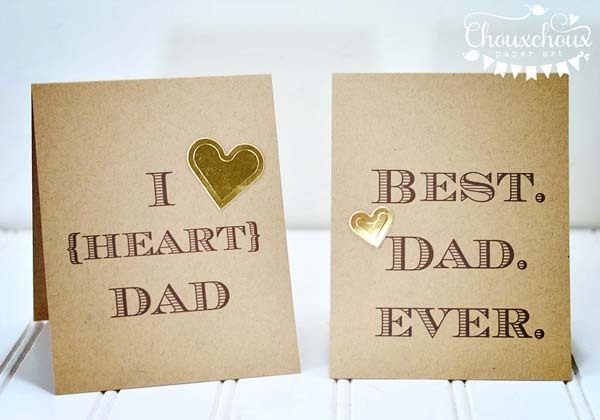 Download the Father's Day Cards HERE. 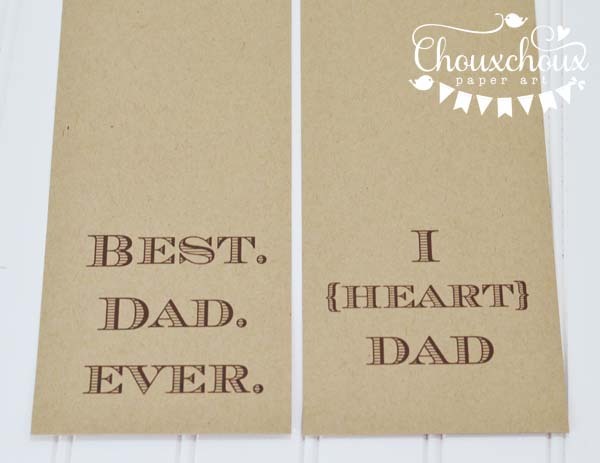 Download the Father's Day sentiment HERE. Classic and oh, so easy! These are so much fun. I love that they are quick and easy. Wonderful father's day cards! Love them printed on kraft! Thanks for sharing the files! Have a great day!